Fritz J. Roethlisberger, ca. 1958. Yousuf Karsh, photographer. © YOUSUF KARSH The Hawthorne Studies began in 1924 as an attempt to improve worker productivity at the Western Electric Company’s Hawthorne Works in Cicero, Illinois. Ultimately, though, many managers and scholars regarded this comprehensive study, the results of which were published in 1939 in the midst of the Great Depression under the title Management and the Worker, as a manifesto that offered a new vision for reconstructing a shattered world of meanings for both management scholarship and organizational life. Two distinct aspects of vision characterize the Hawthorne Studies. The first is the more conventional definition of the term—vision as the act of perceiving a particular object or event. Through examining the everyday realities of organizational life, Fritz Roethlisberger and his colleagues found that the “person” and the “organization” could not be compartmentalized. Beneath the formalities of the organization chart was not chaos but a robust, informal organization, constituted by the activities, sentiments, interactions, norms, and personal and professional connections of individuals and groups that had developed over extended periods of time. The existence of the informal organization, argued the Hawthorne researchers, meant that shaping human behavior was much more complicated than the then-dominant paradigm of scientific management had led managers to believe. The social system, which defined a worker’s relation to her work and to her companions, was not the product of rational engineering but of actual, deep-rooted human associations and sentiments. For example, on the question of the link between financial incentives and output, the Hawthorne researchers found that a worker might feel rewarded if she had pleasant associations with her co-workers and that this might mean more to her than a little extra money. Indeed, the researchers found that many workers resisted incentive plans because they felt they would be competing against people whose good will and companionship they valued. To take another example of the broader conception of human beings uncovered by the researchers, consider, for instance, an entry about a test room operator who was asked, “If given three wishes, what would they be?” “Health, to take a trip home at Christmas time, and to take a wedding trip to Norway next spring,” she replied. By noting these and other responses, the researchers highlighted that their conceptual blurring of person and organization was not a weak surrender of the possibility of applying science to administration, but an actual scientific working-through of the nature of human behavior based on careful empirical observation. A second definition of vision is when one talks about a vision of the future. Here, vision operates in the realm of possibility, not actuality—creating, in effect, a new vocabulary of human motives. Confronted with the chaos and human suffering of the Depression, even the most avowed scientific scholars like Roethlisberger and his colleagues felt a moral imperative to identify what the right pattern of an society should be. Like most great researchers, the possibility for developing an imaginative reordering of life through the careful observation of a subject was part of the original impulse for why they studied these workers for so long. Consequently, we must ask what did they hope to gain in the way of describing the patterns of organizations as systems and human beings with sentiments and connections? 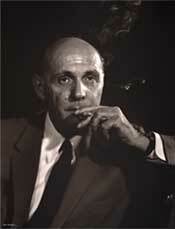 As Fritz Roethlisberger later revealed in his autobiography, his aim, as well as that of Elton Mayo and others working in the organizations group at Harvard Business School, was nothing less than an absolute commitment to lessen the gap between the possibilities grasped and the actualities illuminated through the application of theory and careful observation. Whereas scientific management made the simplification of work and the indifference of workers to anything but a financial reward seem almost both inevitable and desirable, the Hawthorne researchers identified that much of what individuals found meaningful in work was their association with others. The economic rewards of work were potentially picayune compared to the feeling of solidarity and worth created among individuals working together toward a common end. A manager’s effectiveness, therefore, could be measured on the extent to which those in the organization internalized a common purpose and perceived the connection between their actions and the organization’s ability to fulfill this common purpose. Management, then, was not about controlling human behavior but unleashing human possibility. By viewing the organization as a rationally engineered machine, scientific management had perverted the social character of work and thereby negated the individual. By reconceptualizing the organization as a social system that constantly adjusted to the needs, sentiments, and emotions of its members, and the members to it, Roethlisberger and his colleagues believed that organizational life presented a context—for both management and worker—to cultivate a meaningful existence. The Hawthorne Studies were not perfect. Flaws in both method and interpretation appear with the perspective of hindsight. Perhaps most troubling is the researchers neglect of power. In their view, the manager or boss is morally chaste. Power is conceived only as the capacity to influence another person. Once power is seen as a matter of influence over someone else, for the sake of a goal like productivity, the actual conditions of power tend to disappear from view. But by having plunged into the experience of organizational life and then reflected on the meaning of it, the Hawthorne researchers came closer to outlining an integrated theory of human behavior than any other perspective before them and to describing a humanistic vision for workers inside an organization at precisely the time when industrial capitalism needed to be reconnected to addressing human concerns.